petition: These States Don't Have Hate Crime Legislation. It's Time That Changes. These States Don't Have Hate Crime Legislation. It's Time That Changes. Despite the controversy surrounding Jussie Smollett's possibly orchestrated attack, hate crimes are real and do happen. Unfortunately, throughout our nation, on a daily basis, men and women are attacked just for being themselves. In March of 2017, while out collecting cans for recycling, 66-year-old black man Timothy Caughman was stabbed multiple times by a sword-wielding white supremacist who said he had done so as "practice" for a larger race war. On October 27, 2018, during Shabbat morning services, a gunman walked into Pittsburgh's Tree of Life Synagogue and shot and killed 11 people. 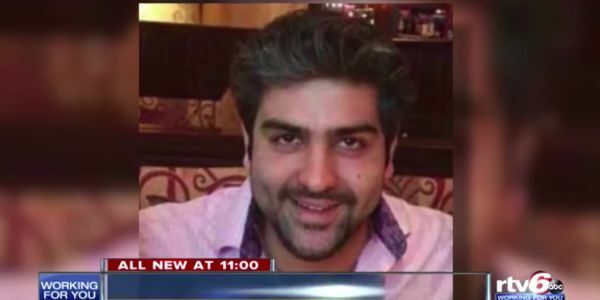 And on February 16th, 2019, 32-year-old Mustafa Ayoubi was shot and killed in Indianapolis by a gunman who witnesses claim screamed: "go back to your country!" The killers in these three cases committed hate crimes, defined by the FBI as "a traditional offense like murder, arson or vandalism with an added element of bias such as against person's race, color, sexual orientation or gender, to name a few. When a hate crime occurs, the accused faces much harsher penalties than what they would have received if bias wasn't involved. However, in the case of Mustafa Ayoubi's murder,only two of the men will actually be charged with one. That's because Indiana, where Ayoubi was murdered, is one of five states that doesn't have hate crime laws. Meaning that Ayoubi's killer will get a much lighter sentence because Ayoubi's murder isn't considered a hate crime in Indiana. Like Arkansas, Georgia, South Carolina, and Wyoming, Indiana has refused to pass comprehensive hate crime legislation even though they have existed in some form or another, federally since 1968. Hate crime legislation is a powerful tool for the justice system and states that have them use them to help protect minority classes from the violence of bigotry and terror. And now, these types of laws are even more necessary. Since the Trump inauguration, hate crimes jumped by 17% in the first year of the his presidency. Many see the increase as a result of a president who emboldens and often coddles racists. Indeed, the president uses racist jargon and dog whistles himself. While overall, violent crimes have taken a slight downtick, hate crimes still continue to rise and thus, if states want to tackle this scourge head on, they must do so armed with real anti-bias crime legislation. Please take the time to sign this petition and demand that the remaining five states Arkansas, Georgia, South Carolina, Wyoming, and Indiana pass hate crime legislation now.